C2E is dedicated to providing optimal health for youth and families through a primary prevention strategy, that broadens, provides a safe, neutral and inclusive arena with educational, medically accurate and exciting classroom sessions and activities, designed to educate on risk avoidance measures that will develop strong character for all youth, and increase overall quality of life by assisting families in sustaining life skills. It’s time to rally around our youth. They are future leaders, and we have a chance to invest in them. See what we are doing and how you can get involved! COVERING OVER 8,000 KIDS A YEAR! The chart below illustrates our multi-faceted approach from classrooms to homes. Campers will experience art, music, dance, games, reading, and more! Breakfast and lunch is provided. Fun and exciting outings and events designed for both campers and parents. Sign up today! Excel has grown tremendously and we now partner with numerous schools and organizations across the state. It's exciting and humbling to see communities inviting Excel into their schools to help influence young lives for a positive difference. We believe our experiences help shape the future of our youth. Share how Choosing to Excel has impacted your life below! By submitting your story, you are giving us permission to share it on our website or social media. We have a place for you at Excel, volunteer and help to cultivate hope and a brighter tomorrow for our young leaders! Every year our reading rotation is a major part of our summer programs. This was developed as we recognized that most children and youth in our area of service do not have access to high quality learning opportunities that will keep their hard-earned academic skills fresh over the summer months. All children and youth experience summer learning loss when they are not involved in positive, engaging learning experiences. We are doing something to stop the “summer slide” among the children and youth of Conway. 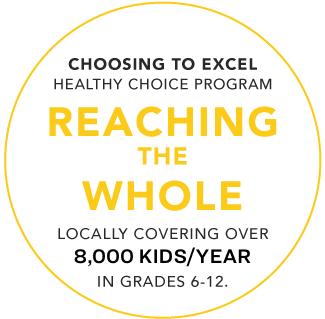 Summer of 2016 the Arkansas Out of School Network, the Arkansas Campaign for Grade Level Reading, and AETN are joining together to recognize Ms. Thelma Moton and the Choosing to Excel Program as a Summer Learning “Bright Spot”. The Choosing to Excel program offers innovative summer learning activities and opportunities that keep kids on track during the summer and all year long. We know that students who don’t keep reading and learning over the summer can lose two to three months of reading skills and find themselves behind their peers when they return to school in the fall. The event will feature the work of the children and youth who have been participating all summer long and we will hear about the impact that programs like these have in our community and other parts of the state.